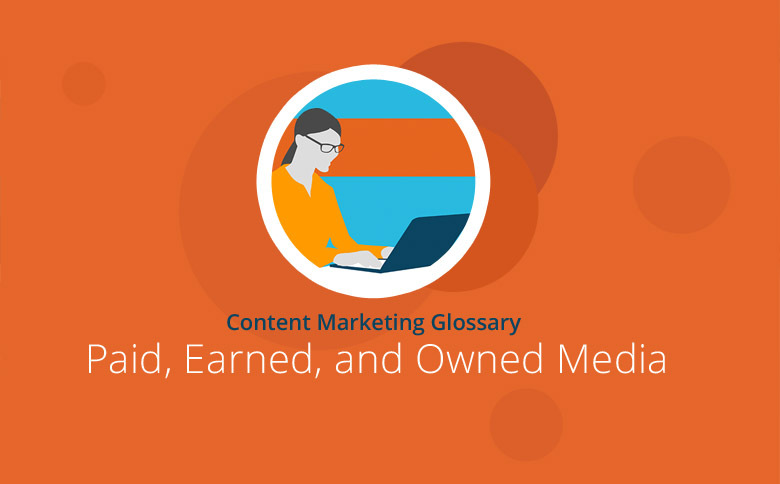 On the social web, there is a distinct difference between Paid, Owned, and Earned Media. Each of these three media options act as a type of online communication channel that advertisers can use to reach their target audiences. A good online marketing strategy requires a mix of all three types. The terms paid, owned. and earned media are originally derived from media planning and marketing. These specific concepts were first used in 2008 by Finnish mobile phone manufacturer Nokia in connection with their media planning. In defining these three types of advertising, Nokia sought to clarify their marketing options to assist their deployment of digital media resources during online advertising campaigns. The notion of paid, owned, and earned media was well received in the online world, and later analyzed in a 2009 study by the Forrester Market Research Institute. Paid, owned, and earned media are defined below, together with a description of how each of these tools are applied in the field of online digital marketing. Paid media (sometimes known as “bought media”) means any form of paid advertising on the Internet. Therefore, any online marketing tools that the company pays for will fall into this category. In the online world, paid advertising is the most common form of company advertising. Many businesses adopt an online strategy that uses paid media channels to convey their messages and promote their targeted content. Traditional banner ads and social media ads displayed on platforms such as Facebook and Twitter are all considered to be paid media as is search engine advertising (SEA) with Google AdWords. In addition, newer forms of paid media such as the content-discovery tool Outbrain can also be used for paid content distribution. For companies, the advantage of paid media channels is that they are highly controllable: Campaigns can be initiated at will, and advertising costs are predictable. However, many consumers use AdBlocker to hide Internet advertising and are often mistrustful of company advertising. This means that, compared with other types of media, the paid media approach suffers from a certain lack of credibility. Paid Media should bring more traffic to a company’s corporate website or landing pages and serve to improve the performance of owned media. If approached professionally, owned media channels can be successfully used to build long-term customer relationships. A big advantage of owned media is that businesses have full control over their own channels, and in addition, these owned media channels are more cost effective than paid advertising. Unlike recommendations from friends and acquaintances (Referral Marketing), consumers won’t always regard such business channels as highly credible. However, owned media and paid media can combine to create earned media. Earned media refers to the phenomenon that occurs when users spread brand content themselves and thus become a channel. By using good content, companies can generate favorable coverage on the social web. This takes the form of online word-of-mouth as expressed in comments, mentions, or testimonials that consumers post about a particular brand. Earned media can bring more traffic, which then leads to user engagement. When users share brand content this can sometimes spread virally across the web. However, unlike paid media, a company cannot purchase earned media. A company can only acquire it by providing high-quality, relevant, and entertaining content: for example, via targeted content marketing, PR, or SEO. It is also important to address the target audience via the channels they actually visit. Furthermore, listening to online social media users – and responding appropriately – is an essential feature of earned media management. The advantage of earned media is its high credibility. However, earned media does have some disadvantages: In comparison with owned media, it offers virtually no control and can be used to convey negative messages about the company. Moreover, it can also be difficult for companies to monitor and measure its effects. While some companies gain earned media for free, the production of high-value content (such as blog articles, graphics, and press releases) to produce earned media is usually associated with time and cost. The distinction between paid, owned, and earned media originally derives from media planning. Online marketers established these three terms to determine how their digital marketing tools should be deployed in campaigns. All three have certain advantages and disadvantages, and the distribution of paid, owned, and earned media will vary according to the business and the type of campaign undertaken. While owned media allows a company to formulate its own channels (for example, a blog or website), paid media such as banner advertising can be used to arouse the interest of the target audience in a company’s products and services. In an ideal scenario, this effort produces earned media that consumers will then redistribute for themselves.